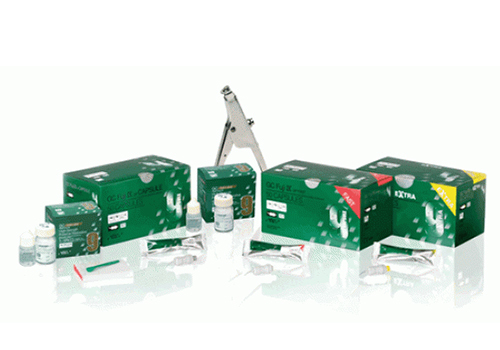 GC Fuji IX GP is one of the world‘s leading glass ionomer restoratives. A conventional, self-curing glass ionomer, it’s easy to pack and contour in the cavity and works splendidly in posterior Class I, II, and V restorations. It’s also ideal for core build-up or as a base. If speed is of the essence, you’ll want to use Fuji IX GP FAST because you can achieve restorations that last longer in only half the time - only 3 minutes from start of mixing to finish. If you are looking for extra aesthetics then GC Fuji IX GP EXTRA is the material of choice. The special glass filler used give a very high translucency that changes little over time. The result is natural aesthetics never before achievable with conventional glass ionomer.